Today's economic realities and the rapid advance of digital aviation technologies challenge aircraft manufacturers and operators and maintenance facilities around the world with unprecedented demands and cost control...demands which must co-exist with the highest standards of safety. As a FAA certified repair station with extensive experience in systems testing, repair and installations, we are very familiar with these challenges and have created innovative solutions. Global Capability. Total Solutions. AvionTEq. Two decades of aviation experience serving leading aircraft manufacturers, airlines and maintenance facilities around the world combined with our highly trained staff, advanced technologies and state-of-the-art equipment make AvionTEq the obvious go-to source for cost-effective avionics test solutions. Our goal is to supply the tools you need when you need it to help keep your operations efficient, mission ready and always safe. Whether you are an airline with multiple maintenance facilities or a small avionics shop with limited resources, whether acquiringnew equipment to upgrade the old ones or maintaining alegacy system, AvionTEq has theexpertise, knowledge and passion to be yourpartner in testing solutions, service and support. Whatever your aviation testingneeds, AvionTEq has the total solution to help you reduce your overheads without sacrificing quality. AvionTEqcan help reduce your cost of ownership by offering credit for trade-in of your older test sets towards purchase of the equipment you need today. Turn your excess equipment into cash, fast. 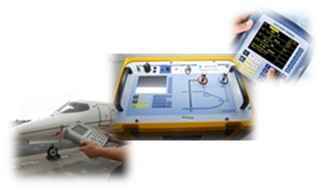 AvionTEq is regularly purchasing aviation test equipment directly from surplus inventories of airlines, operators, avionics shops and other maintenance facilities around the world. We also pay finder's fee for information that leads to transactions and agreements for purchase of excess test equipment due to business closures and asset liquidations. Looking for alternatives? Consider leasing or rental. AvionTEq offers several alternative acquisition options to tailor to our clients test equipment requirements and their financial needs. This includes equipment rental, affordable leasingand financing programs, and rent or lease to own options. At AvionTEq we are committed to providing the service that you expect for your test and measurement tools. Utilizing years of experience, and our partnerships with manufacturers and reputable and reliable calibration and repair centers throughout U.S., AvionTEq provides superior expertise for troubleshooting, repair and calibration of various test and measurement equipment. Our online equipment management tool,MyTEq, has helped our clients improve efficiency and productivity while enhancing quality control and compliance. TEqSupport, the Test Equipment Support plan, was developed by AvionTEq in response to our clientsdemand for an integrated support, maintenance and protection plan for their pool of test equipment and tooling. Our goal is to be your dedicated partner and the one-stop source for all your test instrument requirements. As part of a FAA 145 certified repair station, AvionTEq is committed to high quality standards. But our commitment to customer satisfaction goes far beyond a certification. Every AvionTEq employee, from client representative to technician to company officer, is determined to provide the highest quality individualized service, seek out and deliver the best possible technologies for your specific applications, and achieve the most cost-effective solutions. We will keep the promises we make, deliver on time, and strive to maintain a true partnership with everyclient of ours.